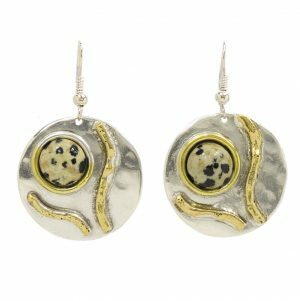 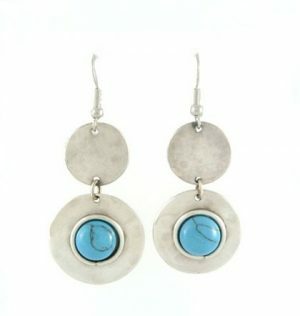 An inspiring circular earring of polished silver wires and an off-centre Hematite Stone, with a Hook backing. 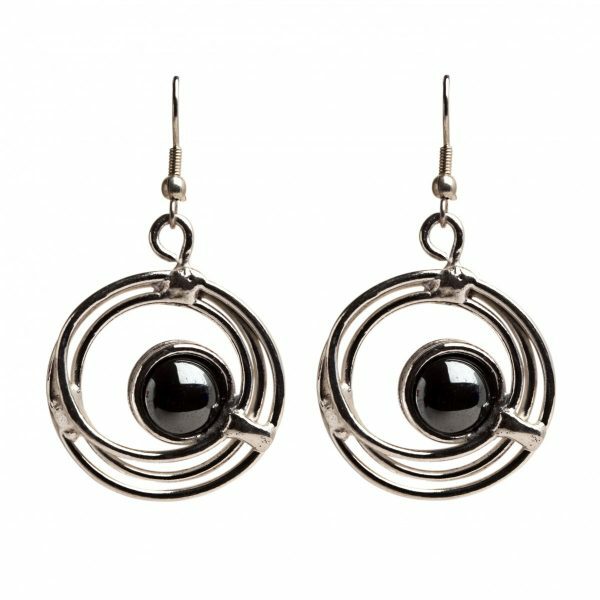 Hematite is also know as the “stone of the mind” and is believed to enhance memory and original thinking. 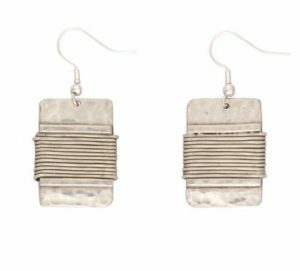 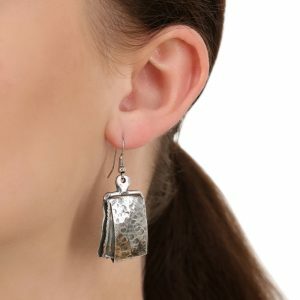 Carefully made by our designers in South Africa, by hand from start to finish so please bear in mind one pair may vary slightly from the next, making your earrings rather unique!